Want to see yourself, your business, your project or similar featured here? Check out the Support Us page for more information on the many ways you can help NRG. 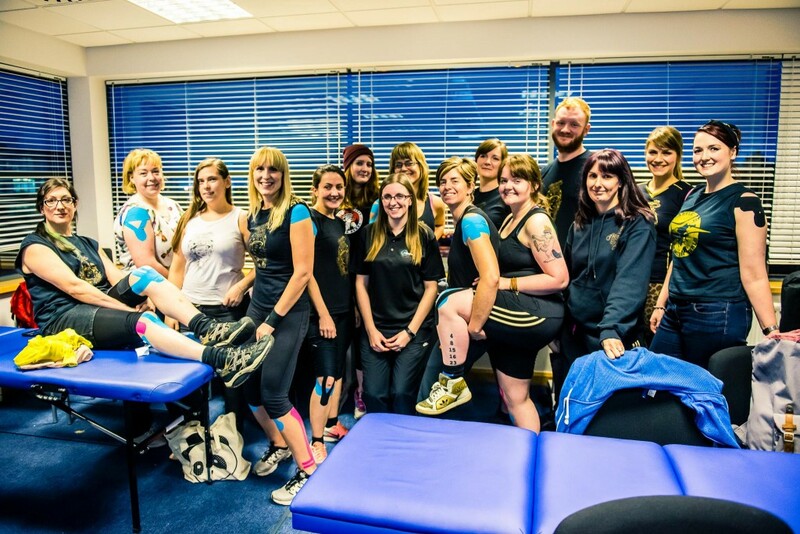 Since December 2013, Newcastle Roller Girls have been proudly sponsored by Kinesio UK – the ORIGINAL athletic tape developed by Japan’s Dr. Kenzo Kase in the 1970s and introduced to our shores in 2004. Kinesio Tape is brightly coloured therapeutic taping often seen on sporting celebrities, hundreds of international Olympic and Commonwealth athletes, and now NRG! Kinesio taping eases joint and muscle pain, reduces swelling and offers firm but gentle support. It allows a full range of motion whilst worn, so you can ‘mend on the move’. The tape creates a lifting effect on skin that improves circulation, relieves pain, and either relaxes or stimulates muscles depending on the tension with which it is applied. Kinesio taping eases joint and muscle pain, reduces swelling and offers firm but gentle support. It allows a full range of motion whilst worn, so you can ‘mend on the move’. The tape creates a lifting effect on skin that improves circulation, relieves pain, and either relaxes or stimulates muscles depending on the tension with which it is applied. Kinesio Taping can help many conditions including sports injuries, muscular complaints, swelling and joint pain in all ages from babies to the elderly. It is used in NHS for the treatment of lymphoedema, for paediatric conditions and is now increasingly used to treat horses, particularly racehorses. Unlike other forms of strapping, it is comfortable to wear, waterproof and hypoallergenic. You can buy pre-cut Kinesio at branches of Boots, Argos and Tesco. Certified Kinesio courses are available across the UK for qualified physiotherapists, sports therapists, osteopaths and chiropractors and Kinesio taping is also now included in many university Sports Rehabilitation degree courses. We were lucky enough to spend an afternoon being taught Kinesio tape application and now use it throughout the league – look out for the bright tape on your favourite skaters on bout day! Gateshead-based printers SM Print give us a fantastic discount on setting up and printing our bout day programmes, check them out! We were absolutely thrilled when North East music legends Maxïmo Park started coming to our bouts back in the day – so you can imagine the levels of excitement when we announced that they were sponsoring our first event of 2014! 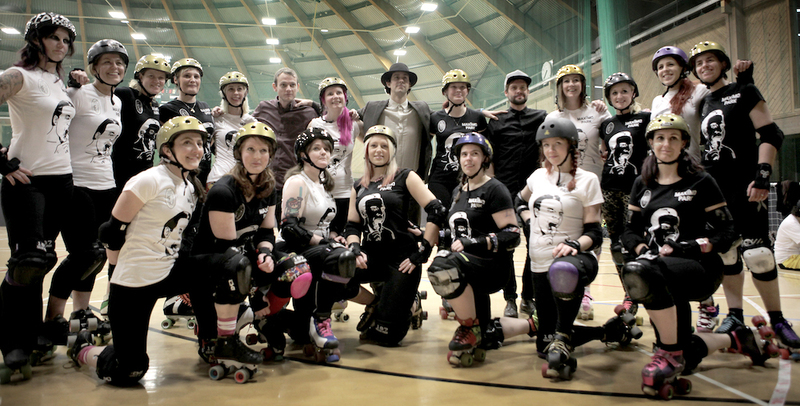 To tie in with the February release of their new album Too Much Information, the ‘Park sponsored our double header against Rainy City Roller Girls.